Vertigo teams up with Island Records for the release of The Intent 2: The Come Up. Nicky Slimting Walker and Femi Oyeniran have re-teamed to write and star in the prequel following their 2016 feature The Intent, which they self-financed and self-distributed in UK cinemas before landing a global streaming deal with Netflix in May last year. Adam Deacon (Kidulthood), Ashley Chin (Starred Up), Sharon Duncan-Brewster (Top Boy) and Dylan Duffus (Line Of Duty) star in the second film alongside notable figures from the UK grime music scene including Ghetts and Krept & Konan, rapper Fekky and dancehall artist Popcaan. The prequel shot in London and Jamaica and is being slated for an autumn 2018 release in the UK and Ireland. We’re thrilled to team up with Island Records to market and distribute the title and the companies are planning a theatrical release. Island also financed the production of the sequel. 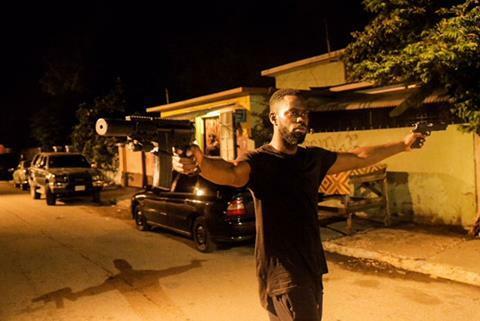 In The Intent 2: The Come Up, Jay (Ghetts) finds his ambitions crippled by his allegiance to both his crew and Hackney crime boss Beverley (Sharon Duncan-Brewster). He sets about laying the foundations for his own organised crime ring with the help of Mustafa (Adam Deacon), but an ill-fated robbery in North London and a trip to Jamaica threatens to tear the crew apart.